The beauty industry ― with all of it’s beautifully shimmering powders, glittery pencils and rosy stains ― has an ugly underside to it: animal testing. Many animals are used every year in “archaic product tests for cosmetics, personal-care products, household cleaning products, and even fruit juices,” according to PETA. Fortunately, there’s a simple way to do your part and fight the good fight: shop consciously, and purchase beauty and household products that are certified by the CCIC’s Leaping Bunny or PETA’s bunny logo to ensure they’re cruelty-free. There’s something about knowing that your makeup is not tested on animals that makes your favorite blush or bronzer purchase just that much more special and eco-conscious. And, with over 1,700 companies pledging to be cruelty-free, there are plenty of options to choose from if you’re looking to swap out your favorite brands for cruelty-free ones. Check out our 16 favorite cruelty-free beauty brands you should be shopping, and don’t forget to sign up for our Full Carts, Can’t Lose email to stay on top of the best sales each week. Well People delivers a natural no-makeup look with premium-quality ingredients. And did we mention they never test on animals? Shop them here. When it comes to Glossier, they believe in "skincare as makeup." But that doesn't mean their cosmetics are subpar. They strive to create ethically responsible products you'll reach for every day. Shop them here. Jane Iredale offers maximum coverage with their pure micronized minerals and pigments. While their brand is priced slightly higher than most, each product is free of perfume, alcohol, additives and artificial dyes. Shop them here. Tarte is all about high performance naturals that deliver amazing results without "all that icky stuff." Shop them here. 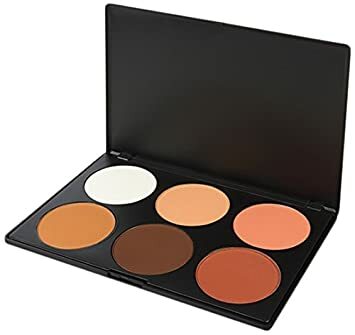 Not only is BH Cosmetics extremely affordable, but it's committed to being a high-performing, cruelty-free makeup brand. Shop them here. ILIA is redefining beauty with skin-healing, organic, and natural ingredients. Shop them here. After New York-based makeup artist Rose-Marie Swift ran into a series of health issues from cosmetics, she developed her own line with pure, natural ingredients. Shop them here. e.l.f. believes in bringing high-quality makeup within reach. Shop this extremely affordable line here. This fruit-pigmented cosmetics line believes in beauty that is as pure as it is powerful. Shop them here. Cargo believes professional makeup should be simple enough for all women to use. Shop them here. According to Jane Park, founder of Julep, "beauty should do more than make you look good, it should make you feel good, too." Shop them here. This UK brand is not only made with skin-nourishing ingredients, its mineral makeup gives a flawless and seamless complexion without clogging or irritating. Shop them here. Kat Von D is committed to quality over quantity when it comes to her makeup line. Shop her line here. If you know Erin Williams, owner of Erin's Faces, you know how committed she is to cruelty-free makeup, skincare, and body care. Shop her line here. Enhance your natural beauty with The Body Shop's cruelty-free cosmetics line. Shop them here. Not only is Sigma known in the beauty world for their amazing brushes, but their makeup is also extremely pigmented and cruelty-free. Shop them here.